Tropical paradise. Terrible roads. They go together. It becomes obvious as I drive a mixture of paved road and dirt trails on a 5-hour, 137-mile journey from Liberia, a city in northern Costa Rica, to Santa Teresa, a beach town at the tip of the Nicoya Peninsula. I was warned about the route’s horrendous conditions. Dirt roads are filled with bumps. Ruts pop out of nowhere. Where there’s pavement, potholes abound. But here I am in a rugged Toyota HiLux pickup truck, my husband in the passenger seat and the kids strapped into car seats on the rear bench. The surfboards and our other gear are packed tightly in the 5-foot bed, covered in dust. The narrow dirt road bends around a mountain in the middle of the Costa Rican jungle. A slope, the steepest I’ve seen yet, is fast approaching. I punch the clutch of our HiLux pickup and downshift to second gear. The little truck resumes power and fights its way up to the top. This is adventure. A four-wheel-drive vehicle is a must. A driver with off-road experience is a plus. Our silver HiLux is not a premium model. There’s no leather in the double cab interior. The cloth front seats move back and forth via a lever underneath. Lumbar support is nonexistent. American drivers are used to a display screen in the dash with a backup camera at the very least. The highest tech component in the cockpit is a USB plug in the audio deck. The rear seat is a squeeze for taller adults, but the kids fit perfectly. There also are child seat latches. The HiLux is a global Toyota truck not sold in the U.S. This model lacks sleek styling and creature comforts but has superior handling, especially off-road. Its stock 17-inch wheels are equipped with Dunlop Grand Trek all-terrain tires that navigate the challenging landscape with ease. The truck has a mighty 12 inches of ground clearance. By comparison, the average Tacoma – Toyota’s U.S. midsize pickup – has only 9.4. The 2.4-liter turbo diesel engine is ideal for traversing the loose gravel, packed mud and tightly wound passes through jungle-covered mountains. The engine delivers 147 horsepower and 295 pound-feet of torque and is mated to a robust 6-speed manual transmission. Our plan is to arrive in Santa Teresa before noon so we can spend the rest of the afternoon splashing in the waves and watching the epic sunset. Hours earlier, we arrived at the Liberia airport prepared for the journey ahead. The drive starts with a paved highway that passes long spans of countryside where horses and cows roam. There are clusters of houses and tiny storefronts sprinkled throughout, but it’s mostly open land. It’s a far cry from the mountainous terrain ahead. Traffic is leisurely. The average speed limit is 40 kph, about 27 mph. The HiLux purrs comfortably in third gear. Every time we pass a school, which is often, speed bumps and signs slow us to a vigilant 25 kph (15 mph) limit. Ticos – Costa Rican natives – casually walk or ride bikes along the side of the road as we pass populated areas. There are no sidewalks, and the people appear unfazed by oncoming traffic. The farther south we travel, the thicker the flora. An abundance of trees and bushes, all of them green, surrounds us. About 50 miles into the drive, just north of the border of the Guanacaste and Puntarenas provinces, the Gulf of Nicoya becomes visible – it’s a deep, luminous blue. A giant land mass, Chira Island, juts up from the horizon. The sight of water is a welcome reminder of our endgame. The driving turns more technical, requiring frequent shifts between second and third gears. It becomes a two-hour trek on dirt roads through rugged highlands. Some climbs have blind drops on one side. Others squeeze between overgrown vegetation. The HiLux’s high ground clearance gives us the confidence to tackle rocks. The truck’s compact profile maneuvers easily around craters and other obstacles. We finally break free from the craggy mountains and descend upon level roads that wind along various beach villages. The HiLux settles back into third gear, and I wait for the turn north that will signal the last five miles of the arduous drive. Santa Teresa is a gem far off the beaten path. It’s a village of Ticos as well as transient surfers and hippies from all over who’ve come for the consistently good surf and “pura vida” lifestyle. There are no paved roads, and locals use dirt bikes and quads to move quickly along the main drag, kicking up billows of dust. Most tie bandanas around their faces to protect from the elements. Our HiLux acts as tourist camouflage – it fits in with the other dirty vehicles. There is a healthy smattering of Toyota Land Cruiser Prados, Fortuners and RAV4s. 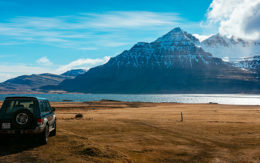 Toyota shares the road with small Mitsubishi and Suzuki SUVs, and there are a handful of old, well-kept and often adventure-outfitted Land Rover Defender 130s. It’s hard to find pickups from other brands in this corner of Costa Rica. That’s because Toyota’s HiLux pickup is a global vehicle with a cult following that hit worldwide sales of 580,700 units last year. But it will never be sold in the U.S.
Toyota is not going to undercut its successful Tacoma, which posted sales of 246,000 in 2018, accounting for nearly half of all the midsize pickups sold in the U.S. The small-truck category already is competitive and getting more crowded. General Motors sells the Chevrolet Colorado and GMC Canyon. Nissan has its Frontier. The launch of Ford’s Ranger is near, and Jeep will attract a lot of attention with its Gladiator. What’s missing in the market, however, is a small, affordable diesel offering. Toyota says it is considering such an option. The HiLux could fill that gap. Chevrolet sells 10,000 to 15,000 diesel Colorados annually, but they are pricey, starting at about $40,000. Starting price for a HiLux is just over $20,000. The diesel engine helps the HiLux tackle rough terrain and provide excellent range. We could have powered straight through Santa Teresa and back to Liberia. That’s what we did eventually, stopping in Tamarindo. After covering over 300 total miles, the 21-gallon tank was still a quarter full. But we weren’t going anywhere once we hit Santa Teresa. Arriving as the sun hung high in the tropical sky erased all weariness. It was time to unload the gear and roll to the beach. Pura vida!